Bruce LaRowe, interim President & CEO of The Mint Museum, and the executive committee of The Mint Museum Board of Trustees have named Gary Blankemeyer as the new Chief Operating Officer/Chief Financial Officer of The Mint Museum effective September 25. Blankemeyer was hired as the Mint’s first-ever Chief Financial Officer in June 2015, and had been acting as interim Chief Operating Officer since July. He replaces Toni Freeman , who left the Mint in July to take a new position as Executive Vice President, Community Engagement at the Arts & Science Council. “Gary is the perfect person to assume this expanded role because of his extensive experience in the nonprofit and for-profit sectors, and his distinguished track record at the Mint,” said LaRowe . As CFO, Blankemeyer has overseen the Mint’s financial and IT activities, including financial management and reporting, budgeting, general accounting, billing, investment administration, financial strategic planning, IT strategic planning, and grants management. As COO/CFO, he will assume supervision over several additional Mint divisions including Special Events (private museum rental business); the Museum Shops; Human Resources; security; housekeeping; and facilities management. “During his time at the Mint, Gary has been an excellent steward of the Mint’s financial resources, and we believe he will continue to position the Mint for sustainability and future strategic growth,” said Weston Andress, chair, The Mint Museum Board of Trustees. Prior to joining the Mint, Blankemeyer was the Senior Vice President, Finance for the nonprofit Child Care Resources Inc. and held responsibility for all financial activity. He spent more than 20 years at Bosch Rexroth Corp. in various senior financial and general management positions where he developed overall strategic, financial, and operational plans for various divisions of the manufacturing giant. The Mint Museum Board of Trustees has approved its CEO succession plan and authorized the hiring of Bruce LaRowe as interim CEO following previously announced plans for Dr. Kathleen V. Jameson to leave The Mint Museum’s President & CEO position. LaRowe will assume the position effective June 21. LaRowe served for 20 years as Executive Director of Children’s Theatre of Charlotte, recognized as one of the top five professional theaters for youth in the country. 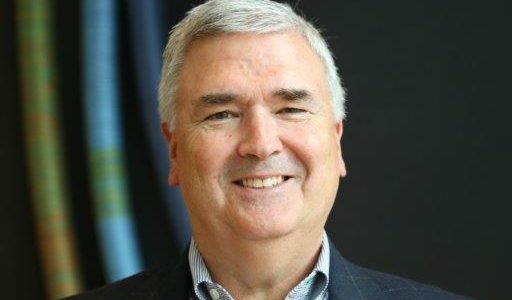 After he stepped down in 2013, he joinedLevRidge Resources , a Charlotte firm that provides professional interim leadership to nonprofits during transitional periods. This will mark his second term at the Mint, as he previously served as Interim Director of Learning & Engagement during a vacancy in that senior leadership position in 2014-15. 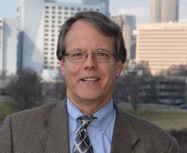 LaRowe has also served as the interim leader of local nonprofits including Thompson Child & Family Focus and Big Brothers Big Sisters of Greater Charlotte, as well as serving as interim Development Director at Habitat for Humanity Charlotte. “Thanks to the hands-on involvement of the board and staff of The Mint Museum, the three-year strategic planning process can now serve as the transition plan for the Mint’s next CEO,” said Kathy Ridge, who helped lead the strategic planning process along with Mint Museum Board of Trustees member Karl Newlin. LaRowe will work with Mint senior leadership on refining the strategic metrics and tactics of the three-year plan, as well as keeping a variety of ongoing museum projects on track during the process of conducting a national search for a permanent CEO. The Mint’s board is in the process of designating a committee to oversee the search, which will launch this summer. LaRowe holds a Master of Arts in Community Arts Management from the University of Illinois. He chaired the Board of Arts North Carolina and has been a guest lecturer for the N.C. Center for Nonprofits. During his tenure at Children’s Theatre of Charlotte, he created the vision along with the Charlotte-Mecklenburg Library to build ImaginOn, a 100,000 square-foot cultural resource for children recognized as unique in the nation. “I am pleased to have the opportunity to work with the Mint’s senior leadership to ensure a seamless transition and assist the Mint in entering a new phase of growth and sustainability,” said LaRowe. The Arts & Science Council (ASC) has announced Toni L. Freeman as its Executive Vice President, Community Engagement. Freeman comes to ASC from The Mint Museum where she currently serves as Chief Operating Officer. She begins at ASC on July 17.
vice president at SunHealth (now Premier). Born in Oklahoma City and raised in Milwaukee, WI, she earned a B.A. from National-Louis University and a M.A. from Michigan State University. private sector to maximize community impact throughout the cultural sector. 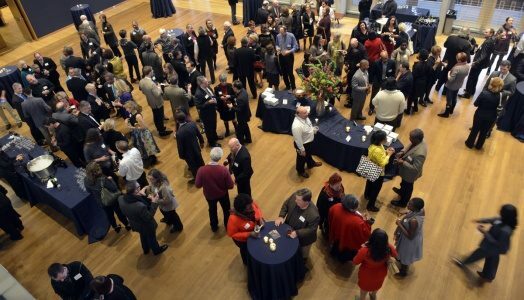 ASC’s mission is to ensure access to an excellent, relevant, and sustainable cultural community for the Charlotte-Mecklenburg region. The Mint Museum today announced its President & CEO Dr. Kathleen V. Jameson is leaving the museum on June 30, 2017. The Mint Museum Board of Trustees will announce an interim president and launch a national search for her permanent replacement in the coming weeks. Dr. Jameson joined the Mint in 2010 from the Museum of Fine Arts in Houston, Texas. She brought a strong combination of curatorial expertise and programming, management, and academic experience to the Mint. On arrival in Charlotte, she assisted with the move to the new Mint Museum Uptown, a 145,000-square-foot facility that is part of what is now Levine Center for the Arts. She guided the revitalization of the Mint on Randolph Road, as well. Mint Museum Randolph houses ceramics and Decorative Arts, Art of the Ancient Americas, African Art, and Fashion collections. During her tenure, the Mint hosted numerous significant exhibitions, including Here & Now: 80 Years of Photography at the Mint, an exhibition curated by Dr. Jameson that was drawn from the Mint’s permanent collection of stunning photographs. In 2013, the groundbreaking international exhibition Inventing the Modern World: Decorative Arts at the World’s Fairs 1851-1939 opened featuring 200 objects shown at every major world’s fair during that pivotal time in history. The next year, the museum opened Connecting the World: The Panama Canal at 100 on the centennial of the opening of the Panama Canal. Currently on view through August 13 at Mint Museum Randolph is The Wyeths: Three Generations, Works from the Bank of America Collection. State of the Art: Discovering American Art Now opens at Mint Museum Uptown this coming Saturday, April 22, and remains on view through September 3, 2017. President Trump’s newly proposed budget – released Thursday – cuts all funding for the National Endowment for the Arts (NEA), the National Endowment for the Humanities (NEH), and the Institute for Museum & Library Services (IMLS), among other agencies and programs. These cuts would have serious negative implications for The Mint Museum, its annual operating budget, and the arts community at large. Please join our effort to be heard by contacting your elected officials or engaging your networks or social media circles to give them factual context about the Mint and the value we provide the community. You can click here for a link to take action, and use #SavetheNEA, #SavetheNEH, and #SavetheIMLS on social media. We have also provided some Questions & Answers below for you to use when talking to others. The arts matter – let’s do our part to help fight these proposed cuts. Thank you for all you do to make the Mint accessible, relevant, and vital to the global community we work to serve with excellence and passion every day. Q. Does the Mint receive funding from the National Endowment for the Arts, National Endowment for the Humanities, or the Institute for Museum & Library Services? A. In recent years these three agencies have provided the Mint nearly $300,000 in critical funding. Q. Which Mint programs have been supported by funding from the NEA, NEH, or IMLS? A. In addition to general operating support provided by the North Carolina Arts Council each year, NEA grants have assisted Sunday Fun Days; digitization of our collections; and our teen program NexGen Mint (with some funding also supporting summer camp scholarships this year). NEH funds have supported preservation assistance for our collections, and the IMLS supported community outreach during the centennial of Romare Bearden’s birth. Additionally, the NEA and IMLS have supported Mint Museum Uptown’s Lewis Family Gallery and Art Packs and ArtVenture scavenger hunts distributed to thousands of families. Q. What would the Mint do if these agencies were eliminated? A. There are many unanswered questions, including whether or not our annual NCAC operating support will be reduced or eliminated. While the consistent annual support the Mint receives from federal sources is not a large portion of our operations, we would need to replace this funding in order to maintain our commitment to serving our community. Q. What can supporters of the Mint do to help? A. Please share this nformation with your own networks. You can also contact your elected officials and ask them to support these or other sources of arts funding. And, most of all, you can continue to be ambassadors of the Mint to our community, sharing news about the exceptional art and programming the Mint provides, and advocating for the museum as a powerful force for tourism, economic development, education, engagement, and inspiration to the community at large. *No other arts funder-public or private-sends funds to every congressional district in every state and to all the U.S. territories. *The NEA and NEH don’t tell states what to do with the funds they receive. The states set their own priorities. *The NEA and NEH’s investment in state and regional arts organizations helps to bolster a strong arts and culture ecosystem in United States. *The loss of the NEA / NEH / IMLS would have the greatest impact on rural areas, low-income areas, and schoolchildren, seniors, and veterans. *The NEA has a huge impact for that minimal investment. On average, each dollar awarded by the NEA to an arts organization enables that organization to leverage nine dollars from other sources. *This makes the NEA an economic driver, generating more than $600 million annually in these matching funds. Thank you again for your support of the Mint and for assisting us in this call to action. 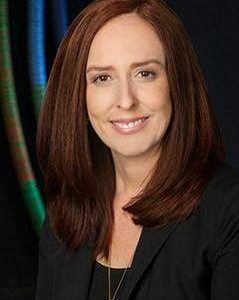 The Mint Museum has hired its first-ever Chief Financial Officer, and has promoted another staffer to become its new Director of Learning & Engagement. Gary Blankemeyer, who was most recently the Senior Vice President, Finance for the nonprofit Child Care Resources Inc., joins the Mint effective today, June 29, as the first person to hold the title of CFO. Cynthia Moreno, formerly Assistant Director of Lifelong Learning at the Mint for the past three years, is now Director of Learning & Engagement. She replaces Cheryl Palmer, who retired last year after more than 35 years leading the Mint’s educational programs. Blankemeyer has over 20 years of accounting and finance experience. Prior to joining Child Care Resources, where he held responsibility for all financial activity, he spent 20 years at Bosch Rexroth Corp. in various senior financial and general management positions where he developed overall strategic, sales, and operational plans for various divisions of the manufacturing giant. Moreno’s promotion followed an extensive search process. “Cynthia emerged as the frontrunner among a strong pool of candidates. Her expertise, standing in the field, stakeholder engagement, and commitment to her team and the Mint will serve as a strong foundation for our next chapter,” said Jameson. Smithsonian Craft Show co-chairs Sharon Fawcett and Susan Labovich announced the three jurors who will select 122 artists to showcase their work at the annual event in 2015. Widely regarded as the most prestigious juried show and sale of American fine craft, the Smithsonian Craft Show will be held April 23˗26, 2015, at the National Building Museum in Washington, D.C. Participating artists will be chosen from a pool of approximately 1,200 applicants, including many of the most accomplished artisans in the United States. Carlano is the exhibition curator of “Contemporary British Studio Ceramics: The Grainer Collection,” which was on view at the Mint Museum in Charlotte, N.C. She earned her bachelor’s degree in art history from Rutgers University in New Brunswick, N.J., and a master’s degree in art history from Università degli Studi in Florence, Italy. Carlano is an internationally known scholar who has published and lectured on a wide variety of topics related to fine art and craft. Her recent books include Sleeping Around: The Bed from Antiquity to Now and Contemporary British Studio Ceramics: The Grainer Collection. Sandi Thorman, the partner-in-charge of the tax department at Charlotte accounting firm GreerWalker LLP and Finance Committee Chair for the Mint’s Board of Trustees, has won a 2013 “Women to Watch” award from the N.C. Association of Certified Public Accountants. The NCACPA award recognizes experienced individuals who make “notable contributions to the accounting profession, their organizations, and the development of women as leaders.” Thorman received the award at the Oct. 22 Professional Women’s Conference in Raleigh. In addition to her work at GreerWalker and the Mint, Thorman is heavily involved in the community. She has served as treasurer of other local non-profit organizations including the Mid-Atlantic Chapter of the National Multiple Sclerosis Society, Dress for Success Charlotte, Charlotte Chamber Music, and InReach. Founded in Charlotte in 1984, GreerWalker provides assurance, accounting, tax and business advisory services to a diversified client base of privately held middle-market companies doing business throughout the Carolinas and around the world. Affiliates include GreerWalker Wealth Management and GreerWalker Corporate Finance. For more information about the firm, call 704-377-0239 or visit the GreerWalker greerwalker.com.